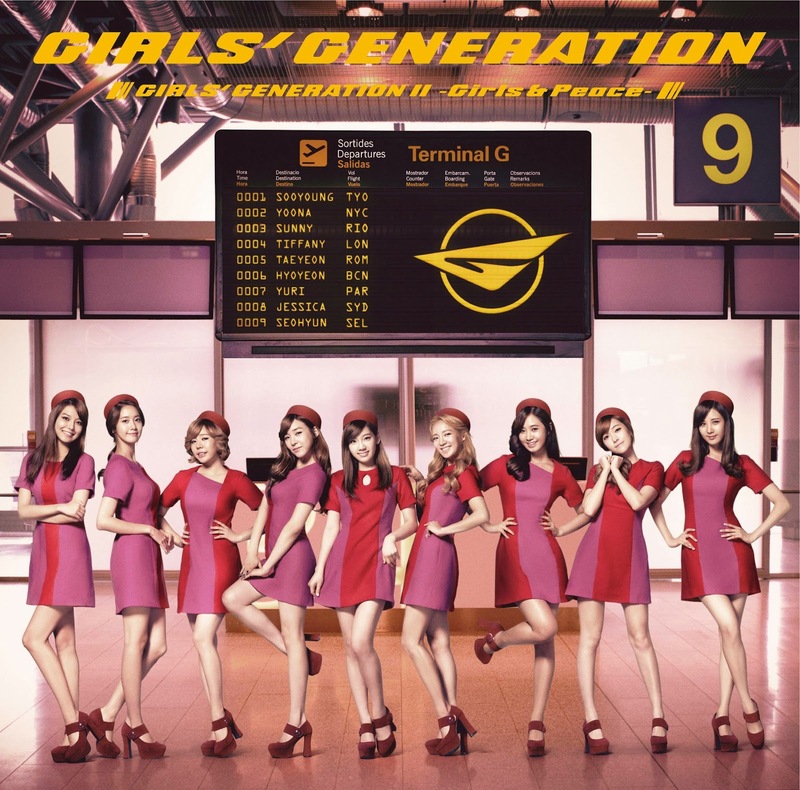 Girls' Generation II: Girls & Peace (stylized as GIRLS' GENERATION II ～Girls & Peace～) is the second Japanese album (fifth overall) by South Korean girl group Girls' Generation. It was released on November 28, 2012 through Nayutawave Records. Girls & Peace is the first release by all the members since their third Korean studio album "The Boys" (2011), after the group entered a semi-hiatus to pursue solo activities in South Korea, in which time, TaeTiSeo, the group's first subunit was created. Continuing the electro-influenced sound from their first Japanese album, Girls & Peace features a wide range of contribution from producers, including long-time collaborator, Kenzie, as well as multiple new producers such as Miles Walker, Deekay and Dapo Torimiro. The album sold over 116,000 copies in its first week, reaching the third spot on the Oricon Album chart, and has since received a Platinum certification from the RIAJ. Three singles were released prior to the release of the album: "Paparazzi" reached the top of the Japan Hot 100, with "Oh! / All My Love Is For You" also peaking at the same spot as well as number-one on the Oricon chart. "Flower Power" peaked at number six on the Hot 100 and number five on the Oricon chart. The group promoted the album and its singles through various Japanese music and variety shows including Hey! Hey! Hey! Music Champ and Music Lovers, and are set to embark on their Second Japan Arena Tour in February 2013. The beautiful girls, the air uniforms they wear, are also very impressive. If you want to order T-shirts, uniforms at very cheap prices, GLU Uniforms are always a priority. GLU Uniform is now the most famous and professional garment supplier in Vietnam.